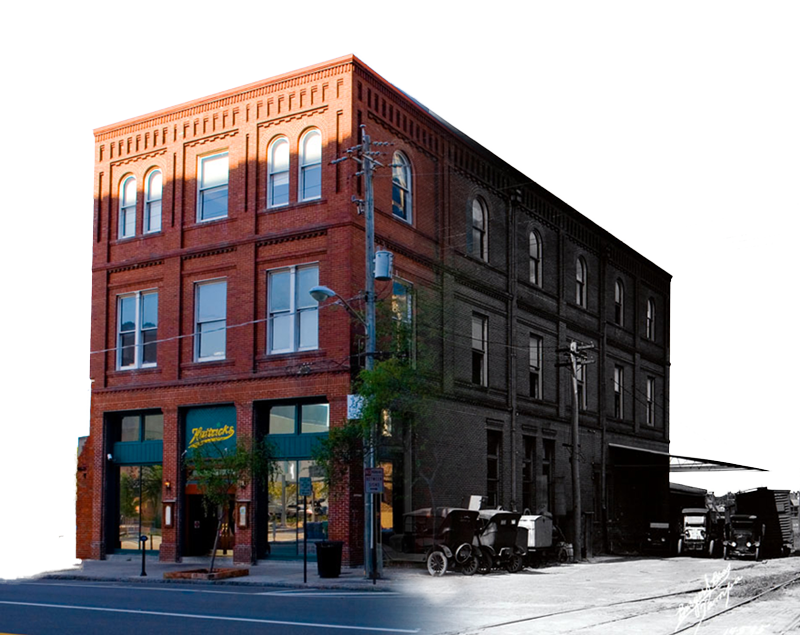 Hattricks offers a wide variety of craft and local beer. Be sure to check back often, as the selection rotates regularly. 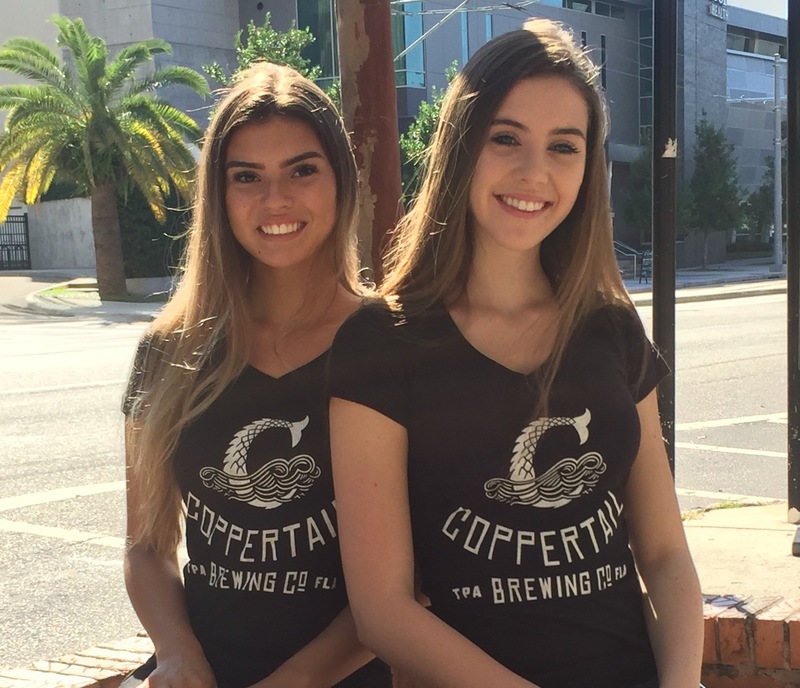 We are one of the few places in Downtown Tampa to offer a Happy Hour. Everyday 4:00pm to 8:00pm and 10:00pm till Close. 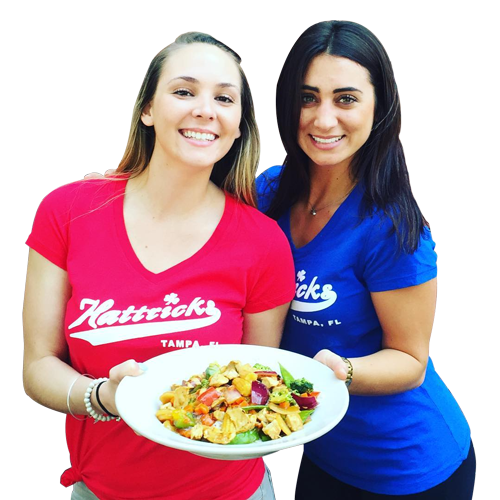 Hattricks is not only the Best Sports Bar in Tampa but also a favorite restaurant among locals & tourists alike. Hattricks features traditional pub fare along with signature dishes you are sure to love. 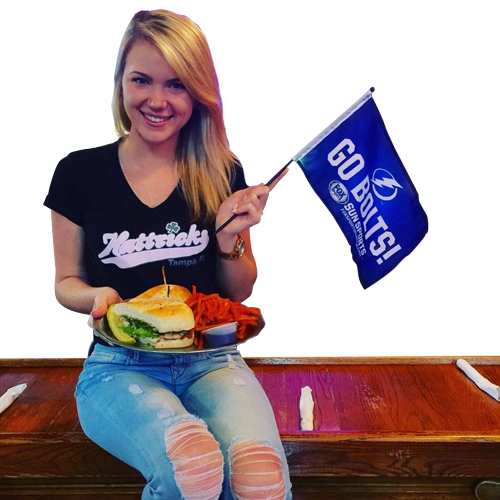 Hattricks is the #1 spot for all Tampa Lightning Pre-Game parties and special events taking place at Amalie Arena or the Tampa Convention Center. 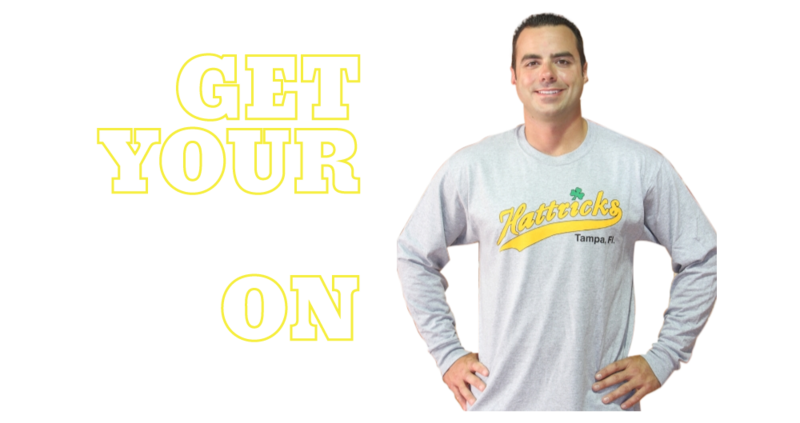 Join us here at Hattricks to watch the big game. 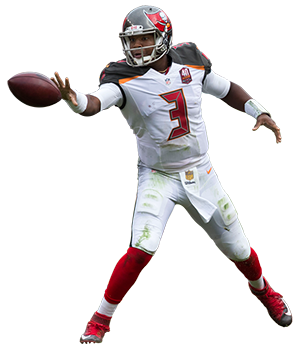 Whether it’s the Tampa Bay Buccaneers or any of your favorite football teams, watch the action through our Big Screen HD TVs and State of the Art Surround Sound System. "I was very glad I went to Hattricks. The BBQ Chicken Wings were superb. Also, the grouper sandwich was amazing. The atmosphere was very cool for a hockey fan or any other sports fan. Overall excellent." 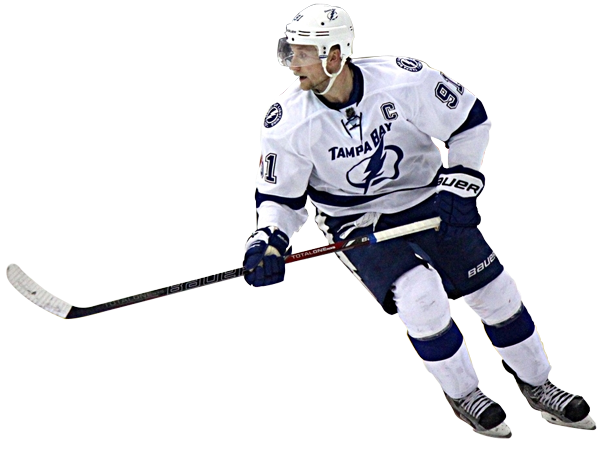 "We were in Tampa 3 nights and went to Hattricks 3 different times. The wings are as good as advertised. 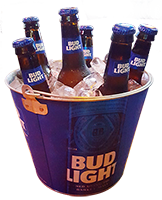 Great happy hour - great specials...fun, lively atmosphere. It was a wonderful place to catch a game or grab a drink. 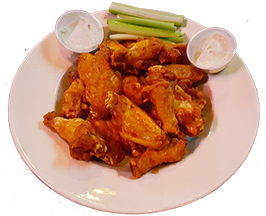 Lots of variety on the menu but do NOT miss the wings." "Highly recommend Hattricks to anyone visiting Tampa, FL!! Service was tops and wings were perfect! 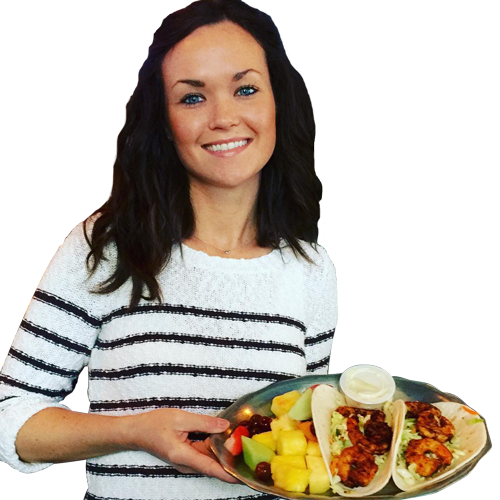 All of the staff was kind and had great personalities."